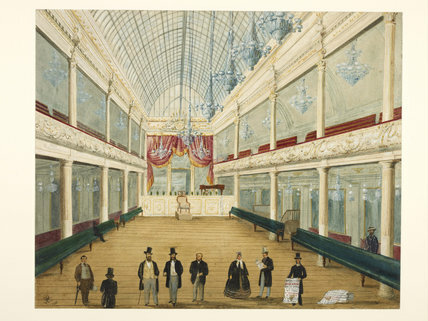 Interior of newly opened London Pavilion Music Hall, Piccadilly Circus, with a seating capacity of 2000. The two foreground figures with top hats possibly Emil Loible & Charles Sonnhammer, proprietors. The other man with the top hat is possibly Russell Grover, Musical Director.